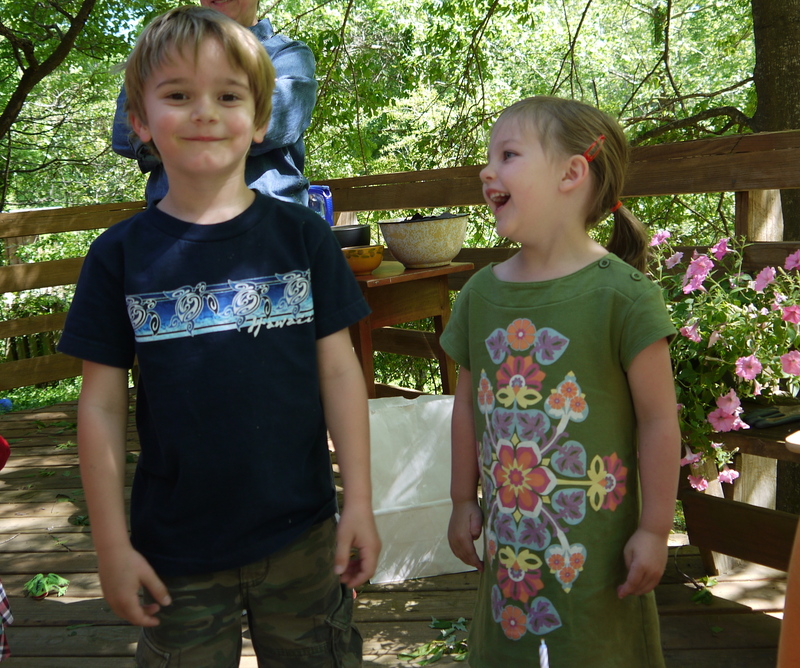 In just under a month, we’ll be moving from Auburn to Minneapolis. Quite a change. 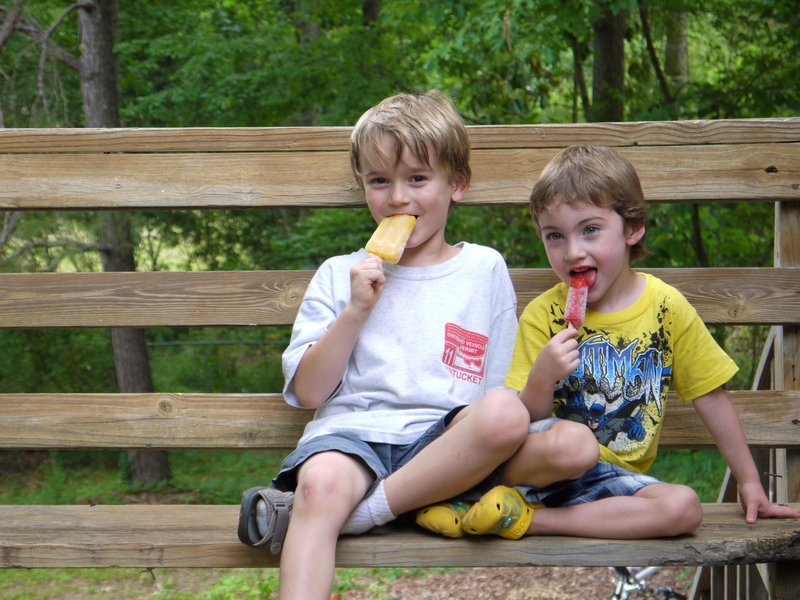 We’ve been soaking up the summery May weather here by spending time in the big backyard. 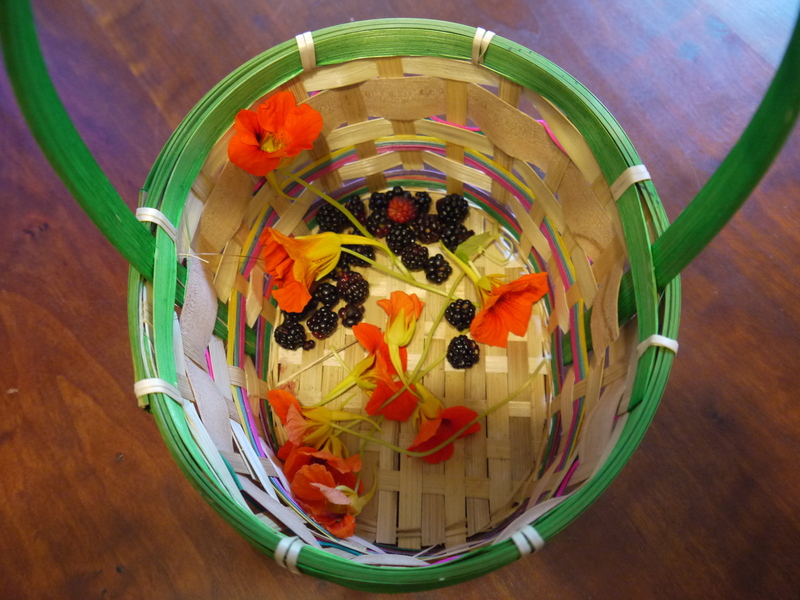 We found blackberry bushes in the corner near the wren house. The nasturtiums we planted are blooming in spite of the drought. It sounds silly, but these nasturtiums have given me one of my most satisfying gardening experiences. They pop up in no time, they’re colorful, they’re edible, and their vine-like stems grow into beautifully negligent nests (a good description of my garden-style). 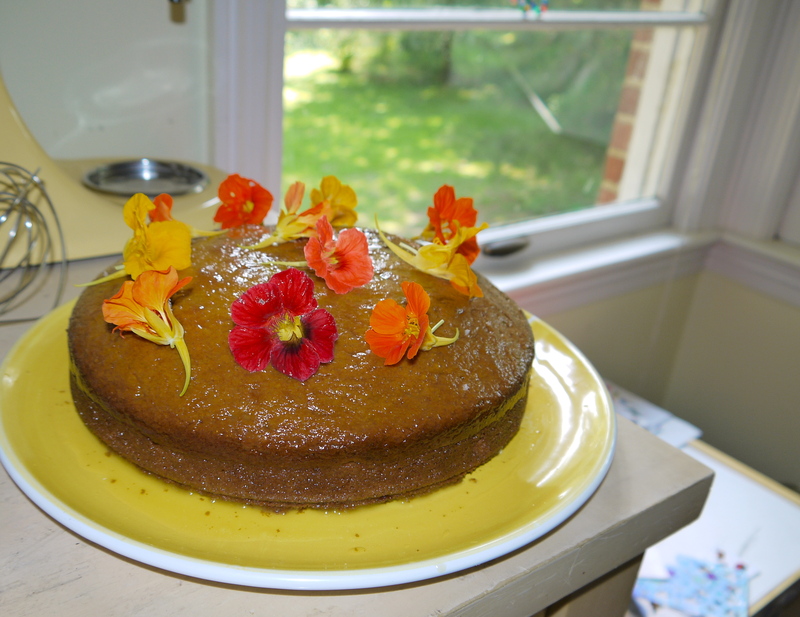 For a dinner party the other night, I made the orange-scented olive oil cake I’ve written about here before, and decorated it seasonally. 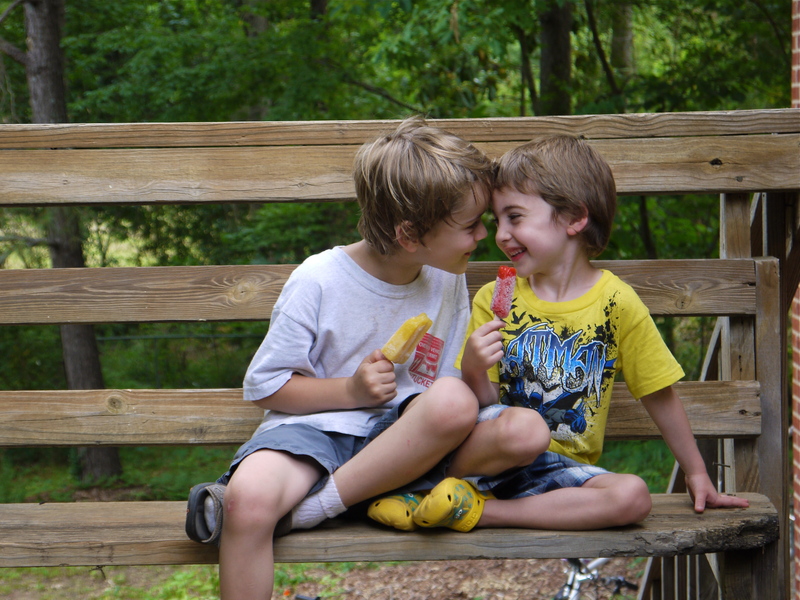 And here are Jack and Jordan the other day. 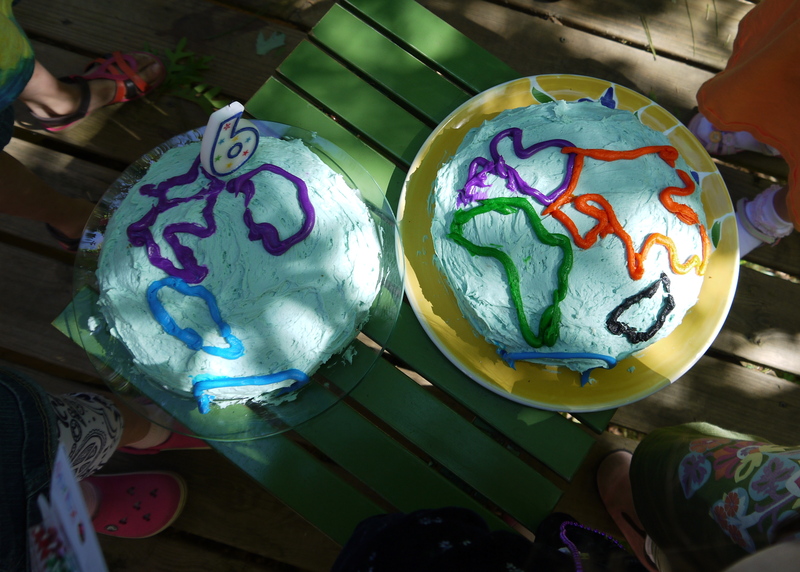 For Jack’s birthday party last month, also on the deck in the backyard, our little geography buff wanted a map cake, so I made two layer cakes decorated as the eastern and western hemispheres. Jack drew the continents. 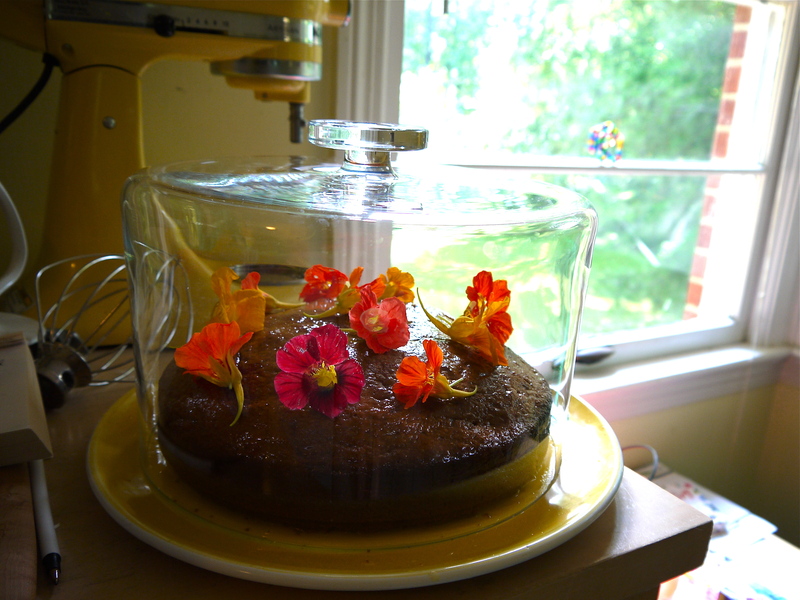 Beautiful looking orange cake, and the nasturtiums are perfect on it. 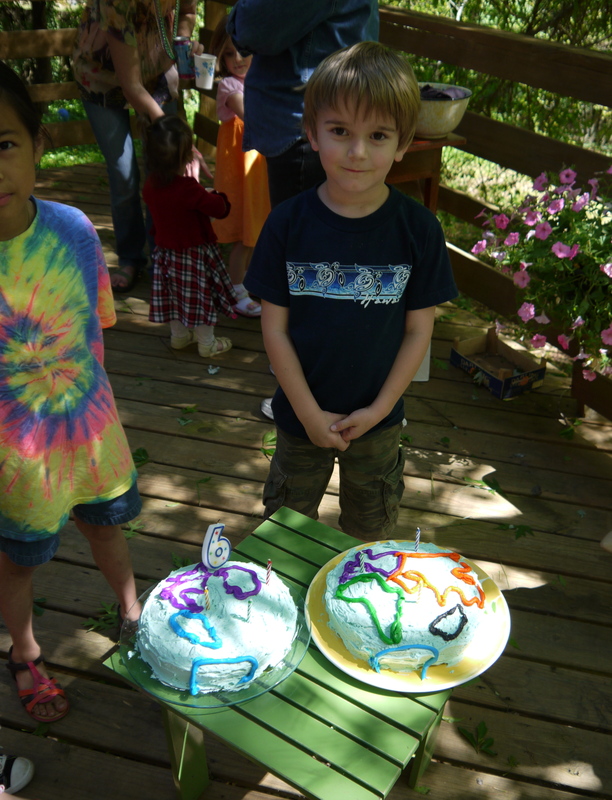 The birthday cake is amazing! Well done on the maps, Jack.